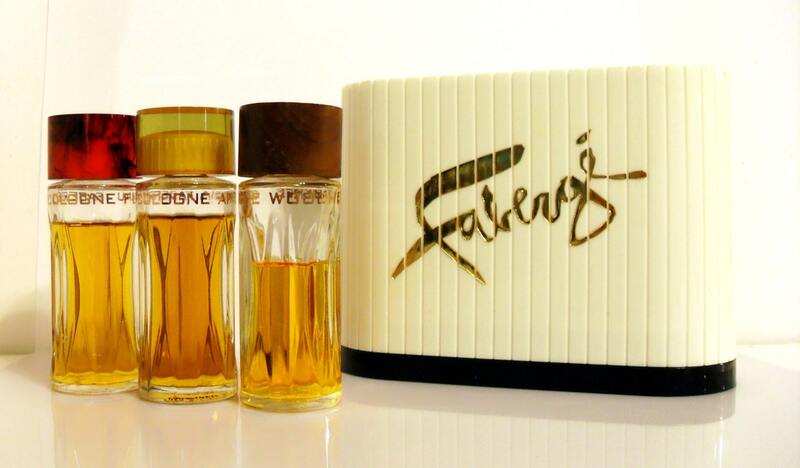 Vintage Perfume 1960s Woodhue, Flambeau and Aphrodisia by Faberge 1 oz Cologne Splash. Your choice of scents - each sold separately. Box not included, but sold separately. This was originally sold in the white plastic gift box. 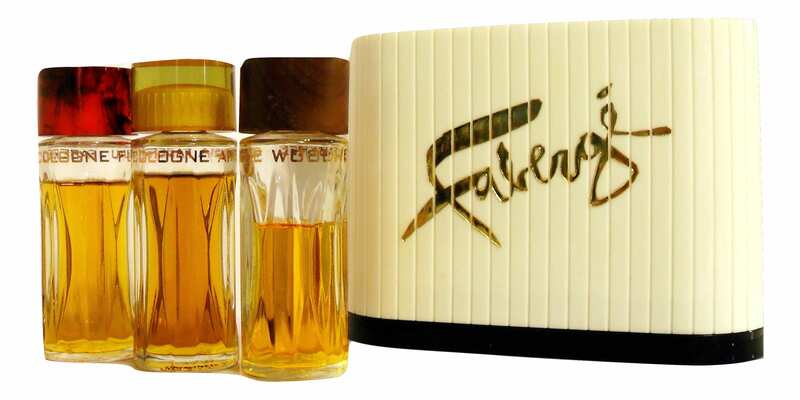 I found the first issue of this fragrance set in a 1961 newspaper ad, it's cover was clear acrylic instead of the white. It was called the "Triolette", but 1962, it could be found with the white plastic cover. Box shows wear from storage. 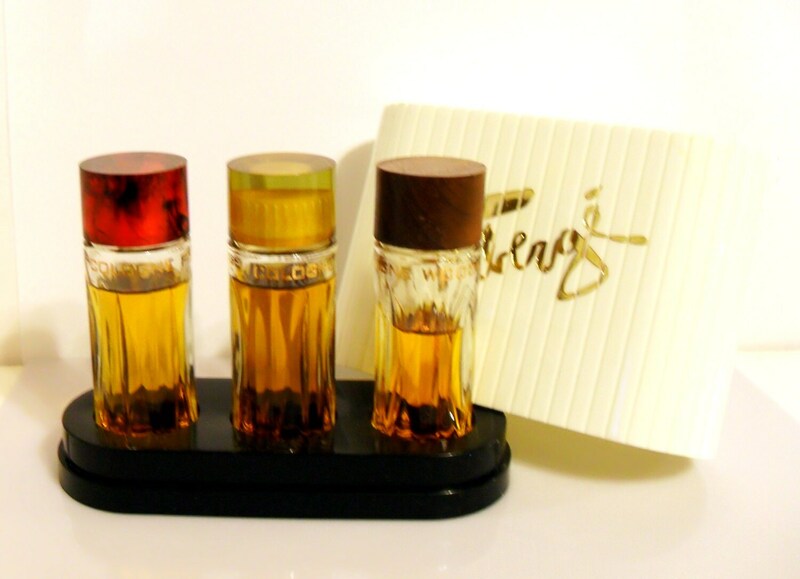 The Flambeau and the Aphrodisia bottles have Bakelite screw caps. The Woodhue has its cute wooden screw cap. Please see the photos for the actual fill levels of the bottles. I just tested the Woodhue and it still smells good and wearable. 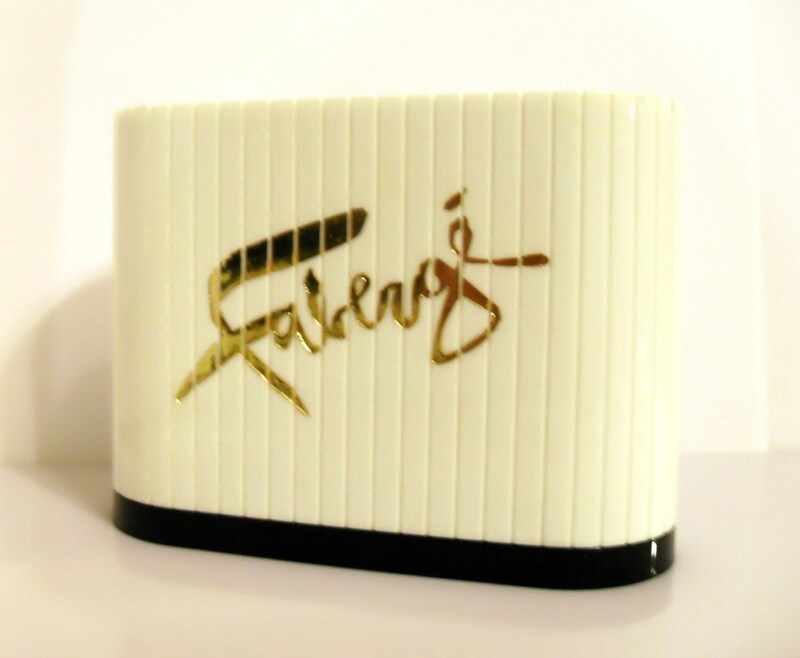 Woodhue by Faberge was launched in 1939. It has been discontinued for many years. It is classified as a oriental fragrance for women. It starts off with a fresh, spicy top, followed by a spicy floral heart, resting on a sweet, balsamic, powdery base. The Flambeau is wearable, this one is quite strong. Flambeau was launched in 1955. Discontinued, date unknown. Still being sold in 1977. It is classified as a floral chypre with oriental notes. The Aphrodisia is also still wearable. Aphrodisia was launched in 1938. 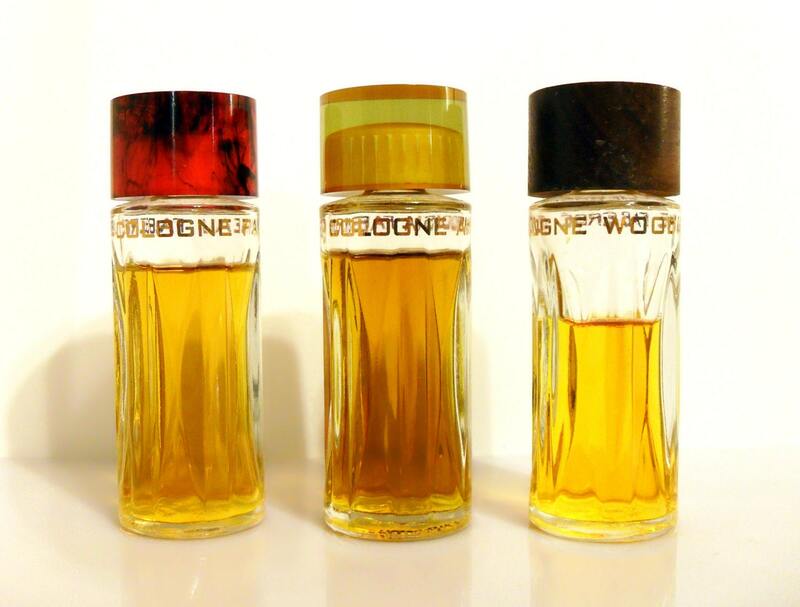 Aphrodisia was so popular that it was also available in a men's version. The difference between the men's and the women's is that the men's version is extra-dry while the woman's was more sparkling and full bodied. Aphrodisia has been discontinued since the 1970s. It is classified as a sparkling aldehydic, slightly spicy chypre floral fragrance for women.